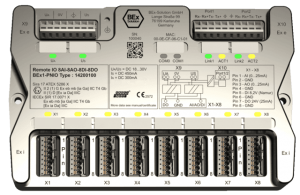 BEx-Solution GmbH was founded in 2016. The company founder and owner Ralf Bauermeister, together with his team, has more than 50 years of team experience in industrial automation technology. Innovation and flexibility are the core competencies with decades of know-how, in particular the research and development of fieldbus technologies combined with the explosion protection. Thanks to this competence and the growing network, new high-innovative products are being developed for the industrial sector. We are ISO 9001:2015 certified and guarantee our customers and partners the highest level of quality and reliability for our products as well as the processes within our company.